Carolina — Patricia H. Ladew Foundation, Inc. This litter arrived when the kittens were just little newborns. Dakota and California found their forever homes during Clear the Shelters and the rest of the litter, including mama Carolina found their forever homes at Adoptapalooza (9/16/18). Carolina has already made herself at home and is doing well. 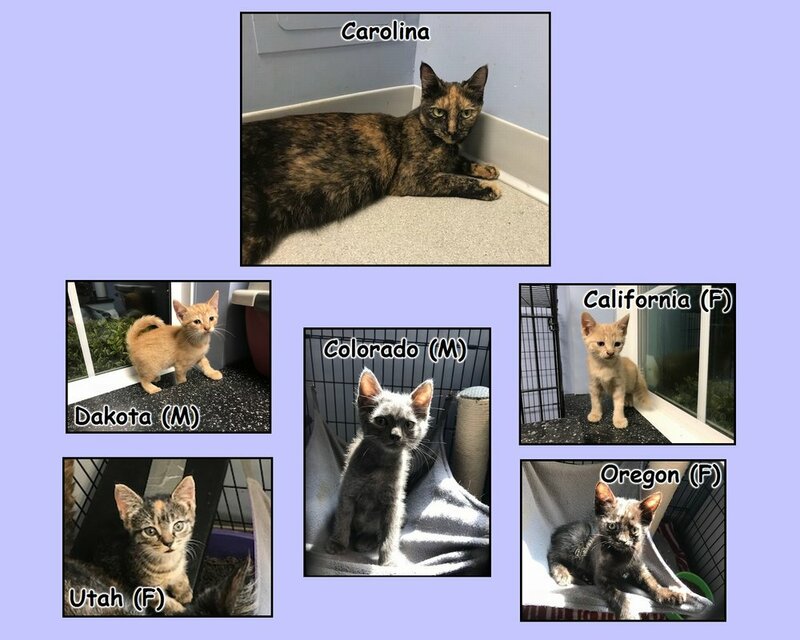 If you would like further information about the Carolina litter, please feel free to email us at info@theladewcatsanctuary.org or call us at 516-922-CATS (2287).